this post is a universe. no shame, no gain. no unthreaded galaxies. no sense of place. no future, no past; no beginning or end. 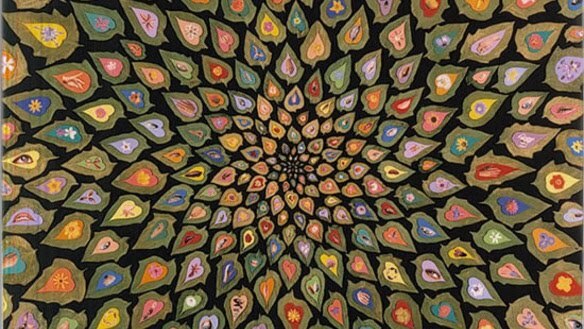 Fred Tomaselli (born in Santa Monica, California in 1956) is an American artist. He is best known for his highly detailed paintings on wood panels, combining an array of unorthodox materials suspended in a thick layer of clear, epoxy resin. Tomaselli is represented by the White Cube gallery in the UK and the James Cohan Gallery in USA.